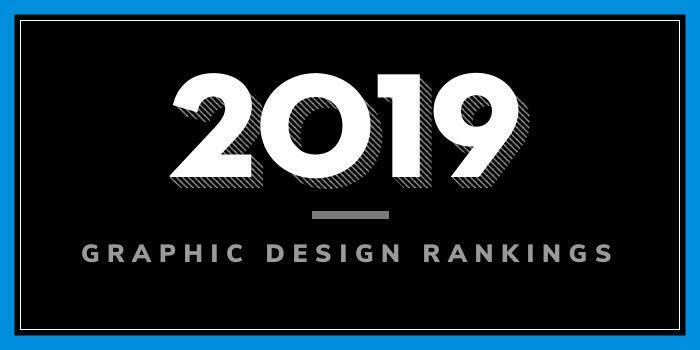 Our 2019 rankings of the top 5 graphic design school programs in Virginia. For an explanation of the ranking criteria, click here. Founded in 1872, Virginia Polytechnic Institute and State University (Virginia Tech) serves more than 34,000 students enrolled in around 280 undergraduate and graduate degree programs through seven colleges. The College of Architecture and Urban Studies, which serves more than 2,300 students, houses the School of Architecture + Design, the School of Public and International Affairs, the School of Visual Arts, and the Myers-Lawson School of Construction. The Graphic Design Program is offered through the School of Visual Arts (SOVA). During students’ junior or senior year, they will complete a required internship of at least 130 hours. Students have interned at companies such as USA Today, Seventeen Magazine, ESPN, MARC USA, HeyYo, and Modea. In addition to experience gained through the internship program, Graphic Design students will graduate with a professional portfolio. “Graduates of the program may find themselves working in print design, packaging design, and interaction design.” They can be found working at Twitter, the Brooklyn Art Museum, Jonathan Adler Design, iStrategyLabs, Urban Outfitters, Allure Magazine, Modea, and more. George Mason University (GMU) was founded in 1949. The school serves more than 34,000 students from 130 countries of origin, enrolled in hundreds of programs through 10 colleges and schools. The College of Visual and Performing Arts (CVPA) houses the School of Art (SOA), which offers an Undergraduate Certificate, Minor and an MA in Graphic Design. Art Undergraduates may also apply to the accelerated master's degree in Graphic Design. If accepted, students will be able to earn an Art and Visual Technology BFA and a Graphic Design MA after satisfactory completion of 150 credits. The MA “offers students a comprehensive study and preparation for the graphic design profession.” Students in the 36 credit hour program will take courses in Brand Design, Image Making, Typography, and Web Design. Sample courses include Advanced Typography, Advanced Web Design, Brand Identity Design, Experiential Design History, Special Topics in Art and Visual Technology, and Special Topics in Graphic Design. All students will complete Independent Study, Independent Project Research, CVPA Graduate ProSeminar, and Graduate Design Seminar. James Madison University (JMU) was established in 1908 as the State Normal and Industrial School for Women at Harrisonburg. The school serves approximately 22,686 students enrolled in more than 130 degree programs through numerous colleges and schools. The School of Art, Design and Art History (SADAH) is an academic unit within the College of Performing and Visual Arts. Here, students can earn a BFA in Graphic Design that consists of 120 credit hours of study. Sample courses for the program include Advanced Typography, Brand Identity, Computer Graphics, Design Methodology, Illustration, Interactive Media, Intermediate Book Arts: Concept, Content, Form, Intermediate Typography, Letterpress, Package Design, Poster Design, and Web Design. Students will complete a Portfolio Review course, Independent Studies in Graphic Design, and a Graphic Design Internship. SADAH Graphic Design graduates are prepared for a variety of careers such as Advertising Designer, Graphic Designer, Illustrator, Multimedia Designer, Printmaker, and many others. Founded in 1882, Virginia State University (VSU) serves approximately 4,600 students enrolled in around 50 undergraduate and graduate programs, two doctoral degree programs and seven certificate programs through six schools. The College of Humanities and Social Science houses the School of Liberal Arts and Education (SOLA). SOLA is home to the Department of Art and Design, which offers a BFA with a Graphic Design Concentration. Course highlights include Advertising Design, Digital Photography, Editorial Illustration, Graphic Design, Graphic Design History, Package Design, Publication Design, Silkscreen Procedures, Strategic Design, and Visual Narrative. Students will complete several portfolio courses, an internship, and a Senior Thesis. Cooperative work assignments and study abroad opportunities are also available.